Has your doctor ever prescribed antibiotics then recommended you also ate yogurt while on them? This is due to the antibiotics fighting bacteria in your body, including the good bacteria in your gut. By eating yogurt, you are increasing your probiotics, and your body’s ability to fight inflammation and yeast. Even without antibiotics probiotics are commonly used to help boost the immune system, and support digestion. What you may not know is taking probiotics may help improve your skin health. may be helpful for a number of skin conditions such as acne, rosacea, wound healing, aging, eczema, and psoriasis. These conditions can be treated with probiotics, alongside traditional treatments as they will work better in conjunction with them. Some probiotics could even help if applied topically, although the typical way to get benefits of them is to ingest orally. So how can we reap the benefits of probiotics? – Yogurt, and/or kefir (a drink similar to yogurt), make sure you are checking the labels to make sure they include probiotics like lactobacillus or acidophilus in them. – Fermented foods such as pickles, kimchi, tempeh, and sauerkraut are probiotic rich foods and an added bonus is that some of these foods are full of other benefits like vitamins A, B, C, & K, beta-carotene, and fiber. – Kombucha, although this fermented tea can sometimes be an acquired taste, it is full of healthy probiotics. – Supplements are an easy option as they are available at drugstores and supermarkets. Navigating these aisles can be a chore though. Here are some key tips to choose a good probiotic supplement. In my opinion, I think everyone can benefit one way or another by taking probiotics. If you already do use them, I would love to hear more about how you take them, and what you use! If you are new to probiotics, I would love to hear how they work for you! Make sure to drop us a line in the comments to let us know! Sometimes it seems like we need to have a long list of things we need to do to keep our skin healthy and glowing. If you are like me, you want to keep your routine to a minimum. My typical morning is me trying to get myself and my kids ready and out the door so that nobody is late. This means that even me, as a licensed esthetician wants to keep my routine to a minimum. Two times daily I cleanse, tone, moisturize, and in the morning I use an SPF (if you missed last week’s blog post on SPF, you can read it here). I understand most of us don’t have the time or want to remember extra steps through our day. I have decided to compile a list of 5 quick tips for healthy skin to easily add to your day. 1. We have all heard it, we all know it, but I am still going to write it. Drink more water, and stay hydrated. Dehydrated skin is a condition in which the skin lacks water, as opposed to lacking oil as a dry skin type. 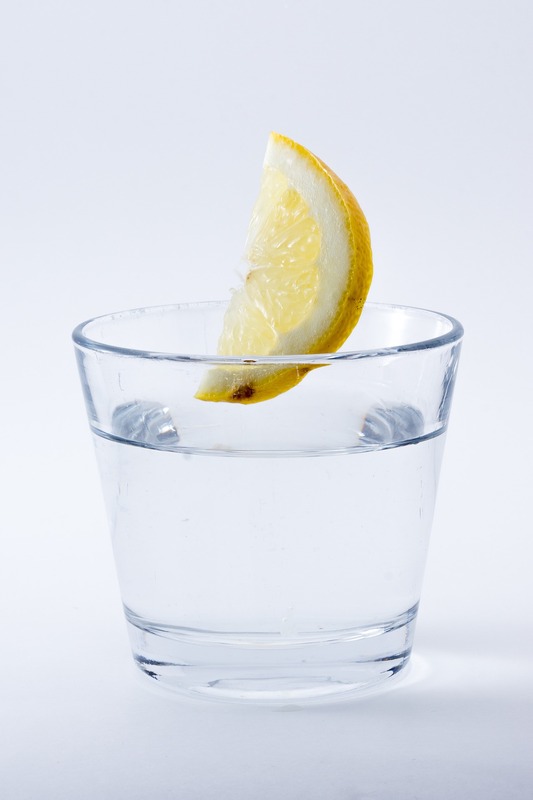 When we don’t drink enough water, or nourish our skin properly, our skin can become dehydrated. We all know that water is important to keep our bodies hydrated, and that includes your skin. Set a timer, or download an app if you forget to keep filling your glass. 2. Wash your face two times every day. We pick up environmental pollution on our skin through the day and may have worn makeup or other products, it is important to wash these things off at night before going to sleep. If we don’t wash off makeup and pollutants it can disrupt the cell renewal process, and clog pores. Cleansing in the morning is equally as important. While we sleep the oil, sweat, and dead cells shed. These can get trapped in our follicles if we aren’t cleansing in the morning. 3. Are you changing your pillow cases enough? Sweat, dead cells, oil, and hair products all build up on your pillowcase. If you have ever had an issue with acne, your esthetician or dermatologist may have suggested you change your pillow case every 1-2 days. If you are typically break-out free, and not oily it is advised to change your pillow case weekly. 4. Using skincare that is right for your skin type. Many use skincare that is made for the wrong skin type. 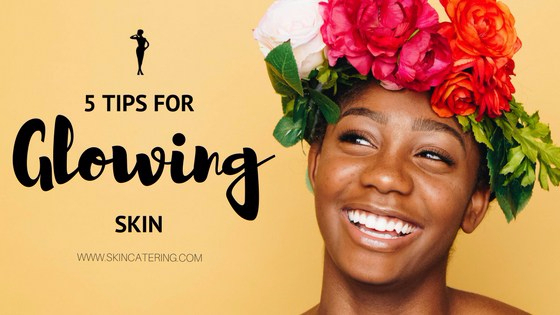 Depending on your skin type and the product you use, you could be over drying your skin, causing it to overproduce sebum (our skin’s naturally occurring oil). Finding out your real skin type is important when deciding how to treat your skin. If you are truly oily, you would want to use a foaming wash or something with clay to help dry up some of that naturally overproducing oil. If you are dry, you may want to stick to a creamier cleanser that will help keep your barrier intact. We are born with our skin type, and it doesn’t change. But, different skin conditions throughout our lives can change the way our skin feels, looks, and reacts to products. 5. Monthly maintenance facials from a licensed esthetician. During a facial, your esthetician will do a full analysis of your skin under a magnifier. During this analysis, they can determine your skin type. They will then give you a professional exfoliation, perform extractions, mask you, perform a facial massage to stimulate circulation and lymphatic drainage (plus, it’s relaxing and something that is not the same when you DIY it! ), and finish off with a moisturizer for your skin type and an SPF. After your facial, your esthetician can recommend products that are best suited for your skin type and your concerns. Working together with your esthetician can help you reach your long-term skin goals. You may already be doing these things. Maybe you are already doing a few of these, which is great too! I challenge you to kick it up a notch by slowly adding the rest of these tips into your day. If you are looking for an esthetician, you have come to the right place. SkinCatering offers skincare services by our skilled licensed estheticians at both locations. 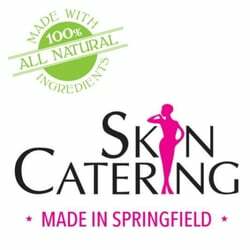 You can visit us at Skincatering Springfield in Tower Square and the newly opened D. Hotel Spa by SkinCatering in Holyoke. We look forward to working together with you on all of your skincare goals.